When we moved to this town house, I didn't like the wood fence in the sideyard, so I decided to surround it with plants pots and some climbers. 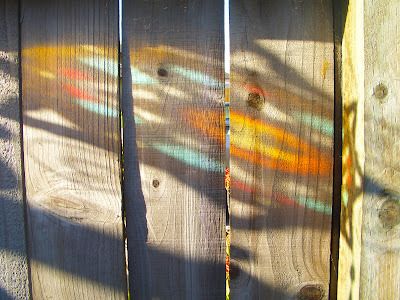 I also bought a couple of wind chimes, and once I saw the colorful reflexes and shadows of the acrylics, the fence entered in a new haptic consideration for me. I took this picture at 8AM in a beautiful sunny day. After all, I'm enjoying the wood textures at different hours. 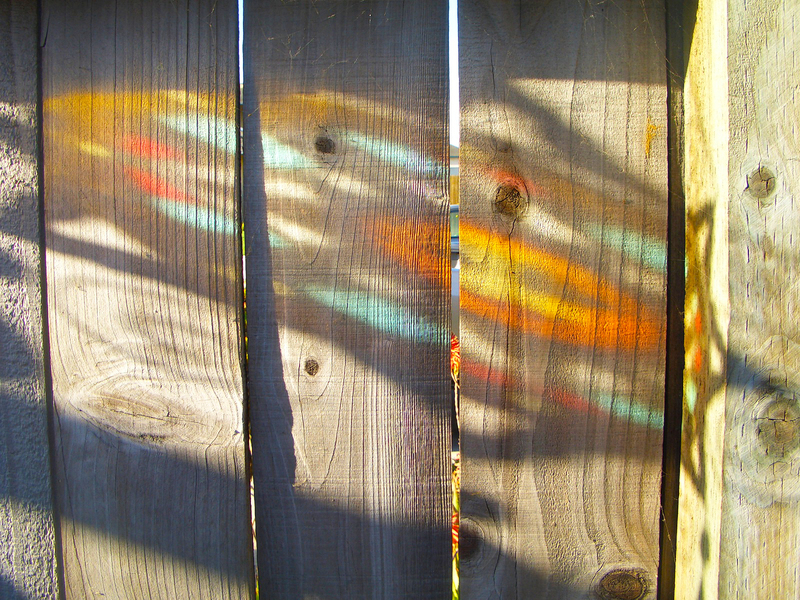 The fence never looks the same.